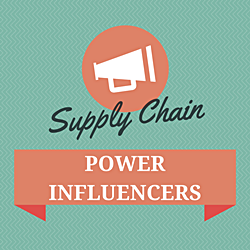 Lora is known as a supply chain visionary who understands software. She brings a rare combination of hands-on-experience in running operations and building software to the analyst world. For seventeen years, Lora was a line-of-business user/buyer and a builder of enterprise solutions. Fifteen years ago, Lora shifted career paths (transferring from manufacturing line management to software product marketing) to be closer to the evolution of enterprise applications. At Manugistics, Lora served in a number of consulting, sales and marketing roles with a final position of Vice President of Sales Operations. Lora also served a Chief Marketing Officer (CMO) for Descartes Systems Group where she helped in positioning the company as an early on-demand solution for logistics. Previously, Lora worked in manufacturing operations, warehouse management and customer service, distribution planning, research & development, procurement and human resource roles for Procter & Gamble, Kraft/General Foods, Clorox, and Dreyers Grand Ice Cream. Her understanding of the business user perspective of technology coupled with her enterprise application experience allows her to quickly validate new concepts and debunk market hype. She is known for her hard-hitting, often contrarian views. Lora graduated from the University of Tennessee B.S. in chemical engineering and earned a MBA from the Wharton School of Business. She is currently working on completing her D.BA. in research from Temple University. As a life-long learner, she has also completed post graduate work in organizational development from Georgetown University. Lora is APICS CIRM and CPIM certified and is a past teacher of effective marketing concepts for software executives in the Pragmatic Marketing program. Lora alternates her time in Philadelphia and the mountains of West Virginia. She has a passion for gardening, textiles of all types (quilting, knitting, and weaving), photography and dancing. She is a new grandmom and is proud of her daughter who teaches nursing at the University of Maryland School of Nursing. In her spare time, she is finishing her log cabin in West Virginia and training for a couple of triathlons. Lora cannot wait to move into her new home.